During the Spring and Summer of 1999, our local Former Adventist Fellowship studied this exciting book. From October, 1999 to September, 2000 we studied this great letter of Paul. Our local FAF studied this book from the Fall of 2000 to December, 2001. Starting April, 2003, the Redlands FAF started this study. These are the notes to the study presented at our very first Friday night FAF meeting. Gary Inrig is on the pastoral staff as senior pastor of Trinity Church where our Former Adventist Meetings are held and is our pastoral advisor. Stanford Shu is a Pediatric Neurologist at Loma Linda University Medical Center. Bruce Heinrich is an Orthodontist and a founding member of Former Adventist Fellowship. Lynn Wunische is a regular writer on the Former Adventist Forum. Colleen Tinker is a former high-school English teacher and a founding member of Former Adventist Fellowship. She is editor of Proclamation magazine, a publication of Life Assurance Ministries. Max Gordon Phillips is a writer and journalist. Dale Hand is a former Adventist and his story may be found here. Gil Prost is a Wycliffe Bible Translator who translated the New Testament for the Ch·cobo Indians of Bolivia. David W. DePinho is a former Adventist pastor, now a Christian chaplain, and his story may be found here. Cora Holder is a former Adventist who lives in the Loma Linda area. Her story may be found here. 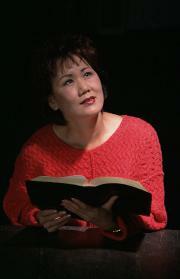 Debbie Hanyon is a graduate of Loma Linda University. Other studies are available at the Life Assurance Ministries website.